The Buddhist deity Guhyasamaja (detail), approx. 1400–1500. China; Beijing, Ming dynasty (1368–1644). Bronze with gilding. Asian Art Museum, The Avery Brundage Collection, B64B23. Photograph © Asian Art Museum. How can we see the human in the divine and the divine in the human? 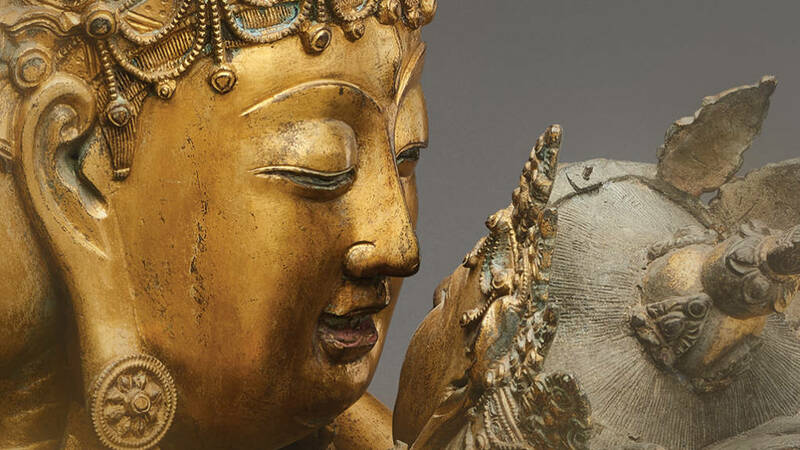 Through images of gods and goddesses, buddhas and bodhisattvas, humans and their environments — whether sculpted centuries ago or photographed recently — the new Asian Art Museum exhibit Divine Bodies invites you to ponder the power of transformation, the possibility of transcendence and the relationship of the body to the cosmos. Admission is free on Friday, March 30, and Saturday, March 31 to KQED member for KQED Member Days. Admission is free to KQED members plus one guest (total of two persons per KQED MemberCard). Tickets are based on day-of availability only. Not a KQED Member yet? Become one today!